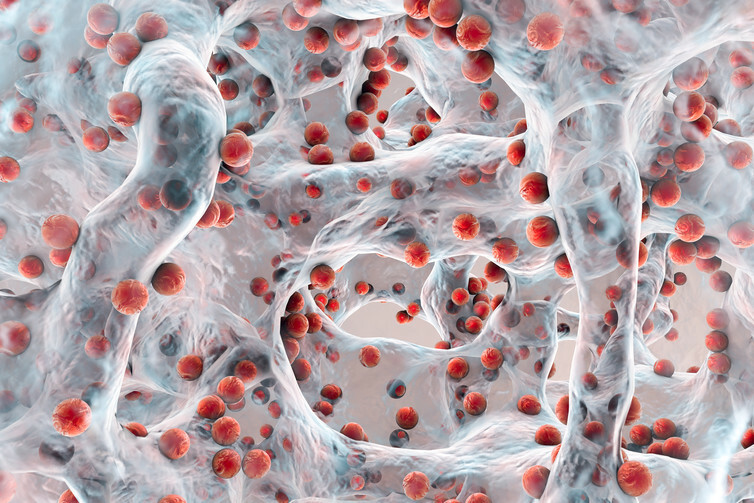 Examples of resistant “superbugs” include methicillin-resistant staphylococcus aureus (MRSA), extremely drug resistant tuberculosis, gonorrhoea, typohoid fever, and group A streptococcus. Although the evolution of resistant strains is a naturally occurring phenomenon, antimicrobial resistance (AMR) is accelerated by the misuse and abuse of currently available antimicrobials in healthcare and in agriculture (including animal farming), to which microbes adapt. In fact, a positive correlation has been demonstrated between antibiotics resistance rates and antibiotics consumption. To put it simply: it is the human factor that drives AMR. The US Centers for Disease Control said that “the single most important action needed to greatly slow down the development and spread of antibiotic resistant infections is to change the way antibiotics are used”. In order to reduce AMR rates we need to reduce the consumption of antibiotics. According to a recently released UK government’s report, “AMR is not a problem that can be solved by any one country, or even any one region. We live in a connected world where people, animals, and food travel, and microbes travel with them. Global action is therefore essential to make meaningful progress over the long term. Individuals have the responsibility to make their contribution to reducing AMR by using or prescribing less antibiotics. States have the responsibility to protect public health, if necessary by enforcing measures that prohibit certain uses of antibiotics or make it more difficult to access them. Doctors have the professional responsibility to prescribe antibiotics only when strictly necessary. Doctors often merely “guess” whether an infection is present and prescribe antibiotics according to their guess, which results in a misuse or abuse of antibiotics by their patients. An estimated 27m out of 40m people who are given antibiotics for respiratory issues annually in the US do not actually need them. Doctors often also feel under pressure by patients – who are often misinformed about the efficacy of various treatments – to prescribe antibiotics. The report proposes that in order to assist doctors to make better decisions, new and rapid diagnostic tests should be made available to them – these would allow a doctor to know if an infection was viral or bacterial and whether a patient really needed them. Such tests would replace diagnoses based on doctors’ intuitions and expertise. It has been shown that the risk of abusing antibiotics is lower where diagnostic rapid tests are used. Once they have this knowledge, doctors have a professional obligation to prescribe antibiotics only on the basis of clear data made available by such tests. The state could intervene in such cases to make it mandatory that antibiotics be prescribed only when a precise diagnosis obtained through rapid testing technologies shows that antibiotics are necessary. Patients also have a moral obligation to help reduce resistance by reducing their use of antibiotics. It has been estimated that in some parts of eastern and southern Europe, up to 30% of antibiotics are purchased over-the-counter, without medical prescription. It is unlikely that many of these antibiotics are medically indicated, and therefore that patients really need them. One moral reason for reducing antibiotics use is altruistic: morality requires that we do what benefits other people or prevents harm to them, at least when this comes at a small cost to us – what ethicist Julian Savulescu calls a “duty of easy rescue.” Individuals have a moral obligation not to take antibiotics unless they are strictly necessary, because this contributes to a collective benefit without any significant cost to individuals. Another moral reason individuals have to contribute to reducing resistance by not abusing antibiotics is that the benefits that result from a reduction of AMR – such as good public health and the availability of effecting antibiotics – are public goods: in simple terms, everybody benefits from the availability of effective antibiotics that can protect public health; accordingly, fairness requires that everybody makes her contribution to reducing AMR. When people do not fulfil their moral obligations voluntarily, the state should intervene to ensure that antibiotics are not abused. Sale of over-the-counter antibiotics is prohibited in most countries, but these regulations are weakly enforced and often pharmacists do sell antibiotics without prescriptions. States should therefore enforce more strict controls, or if this is not feasible, an alternative solution might be to tax antibiotics sold without prescription so as to make them significantly more expensive, and lift the tax for those with a medical prescription. People who abuse antibiotics are often unaware of the harm to which they are contributing. But it is important that they realise the serious consequences of their choice and the potential immorality of abusing antibiotics. Unnecessary antibiotics, even if they bring some small benefit to those who use them (which often is not the case), are a risk for the community and also for future generations, which might have to deal with an increasing number of infections that cannot be effectively treated.